This Police Vest comes in three sizes - Small, Large and X-Large. It will keep all your duty kit stored away securely for when you need it most! A great Police Vest made from Nylon and Mesh fabric. The vest itself has been made to take the strain of carrying Police Officers appointments off your waist and evenly distribute it a lot more evenly around the vest. It is fully adjustable allowing you to wear additional clothing over the body armour when required. It has two click on dock mounts for your radio or torch near the top part of the vest and two zip pockets for you to store your pocketbook. There are belt securing loops and universal expandable Baton Pouch. 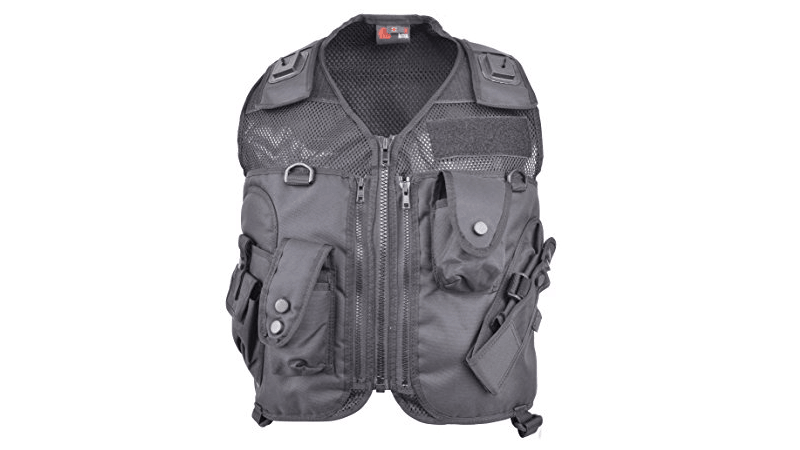 The vest also allows you to store your CS gas and handcuffs in a secure manner. A great piece of kit that is practical and affordable for Police Officers everywhere.